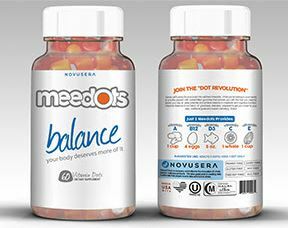 Meedots, Novus Era Vitamins are gummy vitamins for adults and kids. How great would it be to have a high quality vitamin that tastes just like candy? More importantly these dots are very healthful and are designed for maximum absorption and more complete assimilation by the bodies cells. The High Quality Novus Era gummy vitamins for health and wellness are made in the USA from the finest ingredients available. 3rd Party Lab Tested to ensure our supplement facts are correct. Allergen Free – No nuts, soy, wheat, fish, egg or milk. 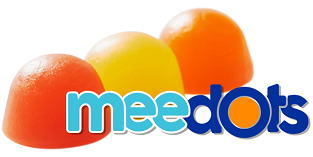 Can Kids Take Meedots? Yes however the suggested use is one dot daily for kids. 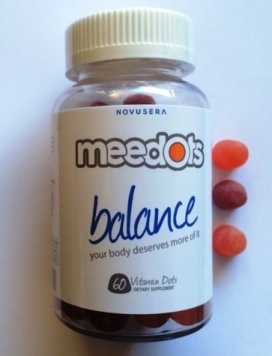 Meedots Balance have a unique formulating process that allows us to add the nutrients after the gummies have been cooked. 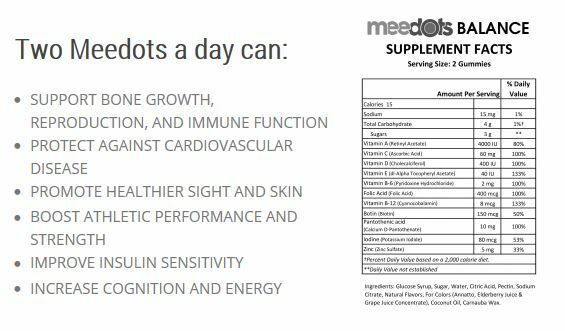 This means Meedots are not subject to heat which can denature the nutrients causing the vitamins to become less effective. 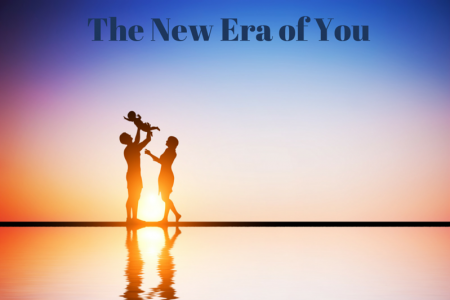 Novus Era Vitamins have a proprietary recipe of vitamins and minerals your body needs in order to function at a high level all day and include Coconut Oil, Elderberry Juice & Grape Juice. Now imagine a superior tasting vitamin that can promise you over 100% of your recommended daily intake of Vitamin C, D, E, B-6 and B-12, Folic Acid, Pantothenic Acid and over 50% of other healthful ingredients such as Vitamin A, Biotin, and Iodine.